John Wilson remembers Venezuelan president Hugo Chavez, jazz trumpeter Kenny Ball, economist Professor William Letwin, socialite Sarah Baring and conductor Wolfgang Sawallisch. Jazzman Kenny Ball, remembered by bandmate John Bennet. Government minister Oliver Letwin tells us about the work of his American-born father, the economist William Letwin. Sarah Baring, who combined a debutante high-life with code-breaking at Bletchley Park during the war. 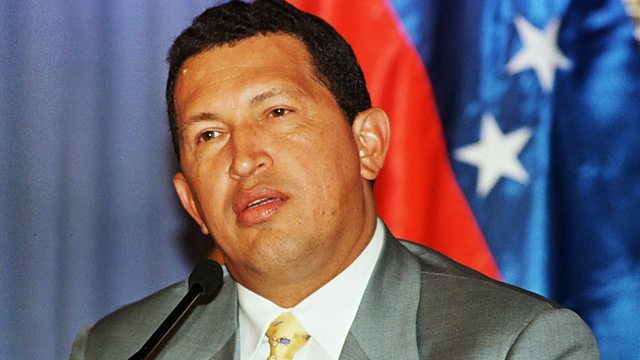 And as President Hugo Chavez lies is state, we hear from Venezuela about the life of the charismatic and controversial politician. Last Word spoke to BBC Correspondent Irene Caselli and to Marco Aponte-Moreno of University College London. Last Word spoke to his friend and fellow band member John Bennett. Last Word spoke to her son Viscount William Astor, to her lifelong friend Baroness Trumpington and to Bletchley Park historian Sinclair McKay. John Wilson spoke to his son, Oliver Letwin MP and to Kenneth Minogue, Emeritus Professor of Political Science at LSE. Radio 3 presenter Rob Cowan pays tribute.